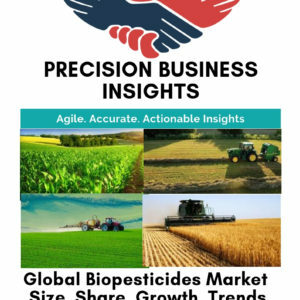 Europe Residue Testing Market report gives the comprehensive outlook on Europe Residue Testing across the region with special emphasis on countries Germany, UK, France, Spain, Italy, Russia, Poland, Others. This report on Europe Residue Testing market gives historical, current, and future market sizes (US$ Mn) of residue type, technology, application and countries. 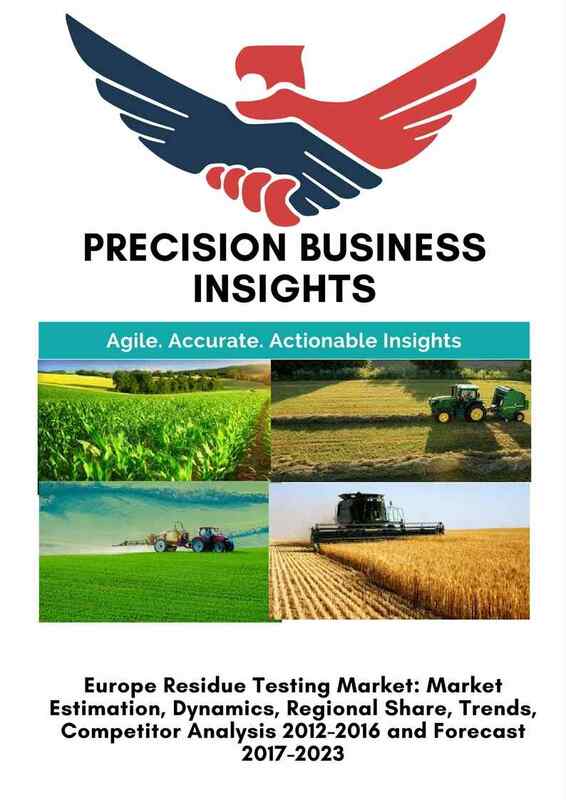 This report studies Europe Residue Testing market dynamics elaborately to identify the current trends & drivers, future opportunities and possible challenges to the key stakeholders operating in the market. In addition, the market report includes regulatory scenario and competition analysis with vividly illustrated the competition dashboard to assess the market competition. Moreover, PBI analyzed Europe Residue Testing Market to better equip clients with possible investment opportunities across the regions (Regional Investment Hot-Spots) and market unmet needs (Opportunities). Europe Residue Testing Market is projected to expand at a growth rate about 5.0% over the forecast period. Adoption of ready-to-eat foods, stringent residue monitoring policies are expected to drive the Europe Residue Testing market. Paradigm shift towards ready-to-eat foods, high use of veterinary drugs, stringent government regulations, frequent pesticide residue monitoring programs are expected to create lucrative opportunities over the forecast period. Focus shift towards Eastern Europe countries are enabling create demand for residue testing. Residue test kit manufacturers expand their operations in Eastern Europe region owing to the improved economics, growing local production of GM-free feed, better investment, climate change, and the arrival of a green revolution, which are having the positive impact on Eastern Europe residue testing market. Heavy Metal Residue Testing Market is expected to account for 30% revenue share in Europe residue testing market and projected to grow over 6.0% CAGR over 2017 to 2023. High contamination of heavy metal especially arsenic (As) in France, Spain, and Italy is expected to create demand for Heavy metal residue testing. In 2016, spectroscopy technology segment expected to account for 28% revenue share in Europe residue testing market and projected to grow at 8.0% CAGR over 2017 to 2023. Meat & Poultry Residue Testing Market is projected to represent lucrative opportunities, due to increased veterinary drugs usage hormonal analogues for milk production, beta-agonist for muscle development. Heavy metal contamination is trending in meat samples across the region. For instance, in accordance with European Food Safety Authority statistics, 2014, about 25 million cattle produced meat and dairy were tested in EU, 531 or 0.42%, samples were non-compliant. Heavy metal, especially copper (Cu) accounted for 210 non-compliant samples in bovines, followed by 71 resorcylic acid lactones. Out of 1, 35,000 porcine samples 0.28% or 378 samples were non-compliant, 210 samples are detected with copper (Cu) traces. A surge in heavy metal, antibiotics, mycotoxin contamination expected to unlock the potential of Europe residue testing market. France and Spain both accounted for the significant share in Europe Residue Testing market. Germany Residue Testing Market is expanding at 6.0% CAGR from 2017 to 2023, due to high adoption of convenience foods in Germany, raising awareness of trace elements and hazards, government support to frequent residue monitoring plans. France Residue Testing Market projected to accounts around the US $250 million in 2016, expand at a significant CAGR from 2017 to 2023. Stringent government regulations, high amounts of heavy metal contamination, state-of-art technologies to detect residues from imports and domestic food ingredients are witnessed to foster demand for residue testing market. Geographical expansions, collaboration, novel product launches are the major strategies adopted market players. For instance, in 2015, SGS established the local field research facilities in Hungary, Poland, and Bulgaria to focus on the regulatory trials (GLP and GEP) to develop pesticides and fertilizers. SGS accredited to provide regulatory trials to support residue, ecotox, environmental fate and efficacy field trials in Ukraine, and have received the equivalent in Turkey. Europe Residue Testing market is expanding approximately 5.0% CAGR over 2017 to 2023. UK Residue Testing Market is growing at 6.0% CAGR over forecast period. Based on Application, meat and poultry is expected to expand at significant CAGR over the forecast period. Based on Residue Type, Heavy metal, veterinary drugs segments are expected to create lucrative opportunities for residues testing over the forecast period.